We’ve all been there. The endless meeting that gets no results. The meeting may end with many sticky notes on the wall, brainstorm lists everywhere, a large parking lot, and yet no one can say that the meeting actually accomplished anything. This often leads to even more meetings to sort through what actually happened and try to gain some results. These are the meetings that give meetings a bad name. However, there is a solution to avoid this scenario…great meeting facilitation. Great meeting facilitation takes planning, preparation, meeting management, and follow up. The Power Project Team is a concept that I have been working on for more than three years. It started with a LinkedIn Poll asking “who has responsibility for project value? This helped lead the way to The Project Manager vs. the Business Analyst (blog post 2012), was further refined in Strategies for Project Sponsorship (Management Concepts Press 2013), and was fully realized in Levering Business Analysis for Project Success (Business Expert Press 2015). Understanding the Power Project Team will help you get the support needed to maximize the likelihood of project success and bring greater value to the business. PMI© has announce changes coming to the Project Manager Professional (PMP®) examination beginning on January 11, 2016 (postponed from original schedule of November 1, 2015). The changes represent a 25% overhaul to the exam questions. While the exam is changing, A Guide to the Project Management Body of Knowledge (PMBOK Guide®) 5th edition, is not. If you are scheduled to take the exam prior to January 11, 2016, do not change your course of study. However, if you do not pass prior to this date or are otherwise scheduled to take it afterwards, you will need to change your study strategy to include the exam updates. Announcing the release of Leveraging Business Analysis for Project Success, a new book by Vicki James, PMP, CBAP, PMI-PBA. Only 39% of project today are successful. Nearly half of the projects that fail, fail because of “poor requirements management” (PMI 2014). Leveraging Business Analysis for Project Success explores the role of the business analyst in setting a project up for success. It informs and educates project managers, sponsors, and organization leaders on what is necessary for project success. It goes beyond requirements management in exploring the how the business analyst can contribute to increased profitability through project selection, scope definition, and post-implementation evaluation. The reader will learn about the history of business analysis, professional organizations and resources to support the profession, and what to expect from the business analyst at each phase of the project lifecycle as presented in a case study throughout the text. Project leaders will better be able to support the business analysis needs of the project by understanding the skills, expertise, tasks, resources, and time needed to do business analysis right and maximize the return on investment for each project. Leveraging Business Analysis for Project Success is available on electronic or print format on Amazon or directly from the publisher, Business Expert Press. Educators may request an evaluation copy through the publisher website. Please contact Vicki at vicki@project-pro.us if you would like more information regarding this publication. Stop the Madness…Too Many Business Analysis Tools!! I have noticed trend developing recently that I find troubling. It started when I participated in the public review of the draft A Guide to the Business Analysis Body Knowledge (BABOK® Guide) version 3 this past May. My biggest concern with this draft was the addition of tools and techniques. The number of tools and techniques went from 34 to 46, but even more troubling was that I did not recognize some of the added tools and techniques including Business Model Canvas or Business Capability Analysis. Not only that, I did not see where they were common and useful enough to add to a collection of generally accepted best practices separate from the 34 that were already there. Aspiring CBAP’s® and CCBA’s® will need to thoroughly understand each of these in order to prepare for the certification exams. Then in May 2014, the Project Management Institute (PMI®) introduced the PMI Professional in Business Analysis (PMI-PBA℠) credential. The PMI-PBA Examination Content Outlines specifically calls out 76 techniques in 22 different categories. Add their newly released Business Analysis for Practitioners – A Practice Guide with an additional 10 techniques and business analysts who are availing themselves to certification need to learn a whopping 86 business analysis tools and techniques in order to prepare for any question the PMI-PBA℠ examination may throw at them. WOW!!! Many of these new techniques, while great in concept, are not actually in the collective consciousness of the business analysis community as a generally accepted best practice tool or technique. With things such as Kano model, Ecosystem Map, and Interrelationship Diagram it all gets very confusing very fast. Even for a seasoned pro like me. I think part of the problem is that the terms tool and technique is not being used as I would expect. A technique is a method (procedure, formula, or routine) to accomplish a task. A tool is a device that will aid in completion of the task. Business analysts will often have the tools and techniques to accomplish a task without adding to the toolkit or the vocabulary. Fore example, business capability analysis is a task that skilled, seasoned business analysts can accomplish without adding to the toolkit. 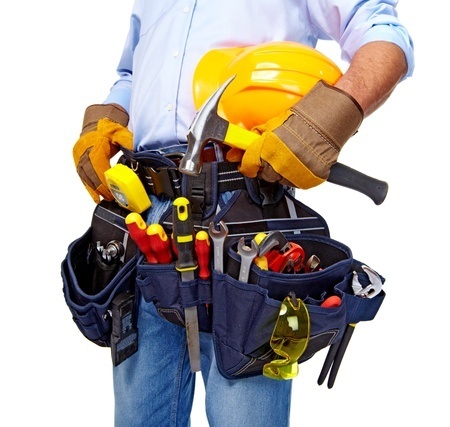 Is a carpenter with 86 tools in his tool belt any better than a carpenter with 34 tools? Perhaps, but not because of the number of tools he holds. Instead, I would apply the Pareto Principle (aka 80/20 Rule) and say that 80% of the value comes from 20% of the tools. This 20%, or approximately 17 tools, are the core basics that any business analyst should have in his or her tool belt. The business analyst should not just have theses tools, but make sure that these tools are of the highest quality and grade. A business analyst should further be armed with the competency to research and find, or develop his or her own tools that will make the job easier and provide greater value to the project if, and only if, the existing tools are not quite fitting the need. You are probably now wondering what 17 tools and techniques I would consider the core basic. Well let me take a stab at this. So there you go. Vicki’s 17 Core Business Analysis Tools and Techniques. Couple these with great organizational skills, an inquiring mind, along with the ability to adapt, and you have a top-notch business analyst who will help your project and your organization achieve great things. Let’s spend the time we would otherwise use in learning about the other 59 tools to refining and perfecting these 17 and adapt from there as needed. What tools and techniques do you feel are most essential for a business analyst? Where Did the Blog Posts Go? I realize that it seems as if I have given up writing by the looks of my blog page. I assure you this is not the case. I have written extensively for Watermark Learning about things such as the new PMI-PBA credential from the Project Management Institute and the public review draft of the BABOK© Guide v3 from International Institute of Business Analysis. I even have a guest spot up on Business Analysis Times with a re-print of my popular The Project Manager vs. The Business Analyst post. Here are a few titles for you to check out. Follow the link at the top of the page to “Become a member of our learning community” to get Watermark Learning news first hand. I will be posting more on this blog as I have thoughts and contents that do not directly align with the Watermark Learning business…oh, and time! So stay tuned!!! Happy International Project Management Day. I am going to celebrate the day by providing the answer to a question I received the other day from my friend Debbie. Hi Vicki, so I am seriously evaluating my career. Based on my skills and what I excel at, I am very interested in getting into Project management. Can you offer any advice on how to start? My resume is mainly in sales so I am lost as to even get started. Let me know your thoughts. It dawns on me that Debbie is likely just one of many wanting to transition into formal project management. Here is my quick start guide to beginning your career in project management. Go through your experience and resume highlighting the things that you have done that fall under the umbrella of project management. The best resource to know what this looks like is the A Guide to the Project Management Body of Knowledge (PMBOK© 5th Edition). This linked mapping of tasks to Knowledge Areas and Process Groups from PMBOK © 4th Edition provides an easy reference of what those “things” are. Most people have done activities that fall in this area, but articulating what these activities are and the projects supported will be a big help to taking the next step. Begin exploring entry-level project positions that may be a good fit. Some common titles you may find are Project Coordinator, Project Expeditor, Project Assistant, or Project Scheduler. Indeed.com is a great resource for exploring the types of jobs that are available in your area. Join the Project Management Institute® (PMI). Your membership and involvement shows commitment to the profession. Further, the network and education you can get through membership is extremely valuable in heading down this road. With these steps, you will understand how your own experience fits into the project management field, know more about what jobs are out there, and begin building your knowledgebase and network for a smooth transition. Project managers, what advice do you have to those wanting to explore a move to project management? Please share. New Orleans Bound for the PMI North American Global Congress! Strategies for Project Sponsorship is coming to New Orleans for the PMI Global Congress. Vicki will be presenting at 2:30p on Sunday. Workshop attendees will receive a copy of the Sponsorship Checklist and one lucky attendee will receive a signed copy of the book. Register for NA13ESM01 : Strategies for Project Sponsorship today! On a different note, join Vicki for an unsponsored, informal night of local New Orleans food and blues on Saturday. Vicki’s classmate Eloise Davis is a member of Major Bacon, a local New Orleans blues band. Join Vicki for dinner before hand and the gig. More information on Vicki’s Facebook. Someone assigned project manager who has not had significant experience and exposure to best practices. They will get great insight to some of the more critical project management best practices that will help make sure project success without having to become an expert on all PMBOK processes. The seasoned project manager who needs to streamline project management practices that are not adding value to the overall success of the project. This book will offer insights to help prioritize and effectively streamline these practices when appropriate. Each steps includes an overview, expected results, process, and practical tools, guidelines, and examples. The one item I would add to the core list is some level of risk management. I do see an opportunity to apply the minimalist approach to this work, but do not recommend it be left out of the mix altogether. Risk management does land in the author’s previous top 20 of project activities, The Project Manager’s Partner, Second Edition so I know we are not far apart in our thinking. Each project has its own personality and level of complexity. Project managers will need to use their expertise and common sense to decide where the minimalist approach is best for their project and where formal processes are required. Giving processes the “minimalist squeeze” will help project managers make sure they are spending the team’s time, as well as their own, in the most productive way. The second part of this book is especially helpful to project managers and developing their own leadership abilities. These lessons really apply to all in many situations. I think of it as a mini self-help that all project managers will benefit from broken into two main sections; the people stuff (working with team), and taking care of yourself. Quotes, examples, and stories help project managers in the softer skills required by project managers. Additional references are provided for those who wish to explore further the idea. More information on publication is available through the author’s website. Thank you Samad Aidane for this interview on Strategies for Project Sponsorship. We enjoyed talking to you and appreciate you support. Research into the causes of project failure clearly shows there is a real problem around the Project Sponsor role. The Project sponsor is critical to project success, yet it is a role that is often assigned to a member of an organization with little knowledge or training in project management practices. In their new book “Strategies for Project Sponsorship”, authors Vicki James, Peter Taylor, and Ron Rosenhead address the challenge of project sponsorship from all three vantage points—that of the project manager, the project sponsor, and the organization. The book reveals the secrets to effective project sponsorship and how to help project managers and project sponsors work in concert and leverage their respective organizational roles and responsibilities.